As part of the three-guitar assault that makes up Periphery, Mark Holcomb might be best known for bombastic riffs and liquid leads, but he’s no stranger to the atmospheric and ambient side of guitar. The lush clean passages, accented by crystalline reverb and chiming delay tones, that break up Periphery’s aggression are part of the formula that makes the band so special – meaning the bar was set high when we set out to create a pedal that could meet Mark’s expectations. 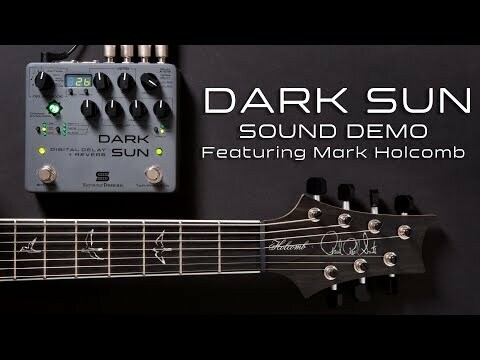 Dark Sun was crafted based on Mark’s favorite sounds from the Andromeda Dynamic Delay and the Silver Lake Dynamic Reverb. 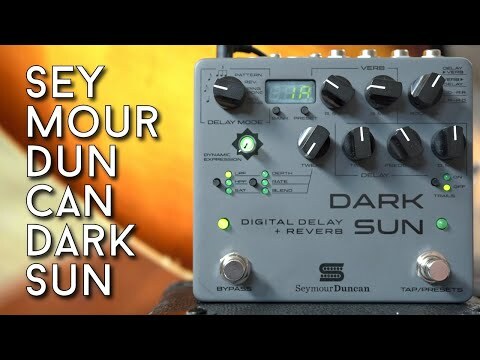 Dark Sun combines a warm and clean digital delay algorithm with a lush Hall reverb, and the ability to route the two in just about any configuration you could want. And, you can shape the EQ of the effect, add saturation, or lush choral modulation, or use Dynamic Expression to control the mix of the effect with your playing. Mark wanted the ability to change the order of the effects on the fly and assign them to either the left or right channel – so we designed the routing control; a 4-position switch that can create dramatically different sounds depending on how it’s set. Running delay first means new reverberations are created with each repeat – while putting reverb first will create a less natural and more dramatic repeat of the reverb trail. 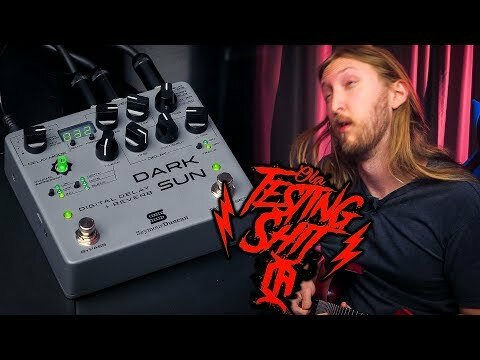 Setting Delay and Reverb to the left and right channels allows you to use Dark Sun’s two effects in stereo or as two separate pedals in one. A complement of filters, gain, and modulation round out the feature set. Applied only to the wet signal, they can totally re-shape the character of the effect. Use the Low Pass Filter to soften and warm up the sound, or the High Pass Filter to cut big low-end repeats, allowing you to use high mix settings without overpowering your playing. Saturation adds gain for pleasant lo-fi effects, tape-like saturation, or shoegaze-style distorted repeats. And, the modulation section can be assigned to the delay, the reverb, or both. Dynamic Expression has been distilled to one purpose for this pedal – to control the mix of the effect with your playing. Turn it on and play hard and the mix control is automatically ducked, so the delay and reverb get out of your way. When you play softer or let a note ring out the mix level will rise again, swelling in ambient trails. Dark Sun has 4 tap divisions available – quarter notes, dotted eighths, eighths, and triplets. You can set the tempo via the tap footswitch, Time control, or MIDI – and the time can be displayed in milliseconds or beats per minute (which you can toggle by holding the trails switch while powering up the device). It is fully MIDI capable, and features a micro-USB port for firmware updates and preset management. 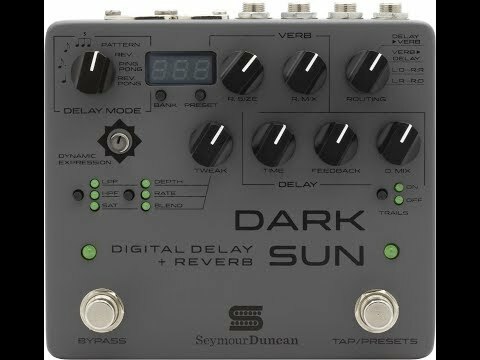 Like all Seymour Duncan pedals, Dark Sun was dreamed, designed, and built right here in the US, and features true-bypass switching. As part of the three-guitar assault that makes up Periphery, Mark Holcomb might be best known for bombastic riffs and liquid leads, but he’s no stranger to the atmospheric and ambient side of guitar. Want all the lushy hall verb goodness mixed with some of the prettiest ethereal delays you can imagine? Yup, this vid is for you! 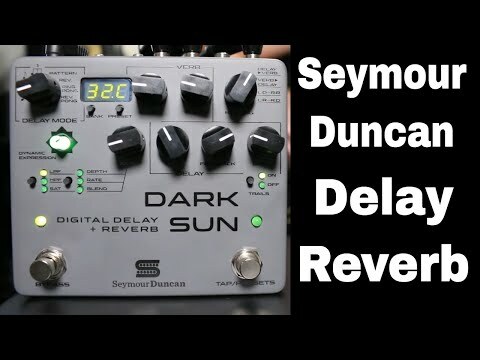 Seymour Duncan Dark Sun Stereo Reverb/Delay pedal "Quick Listen" demo video by Shawn Tubbs. "Quick Listen" Demo video of the Seymour Duncan Digital Delay/Reverb pedal. 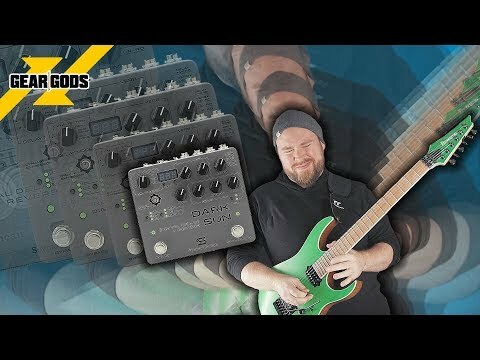 Incredible dynamic stereo delay/reverb! 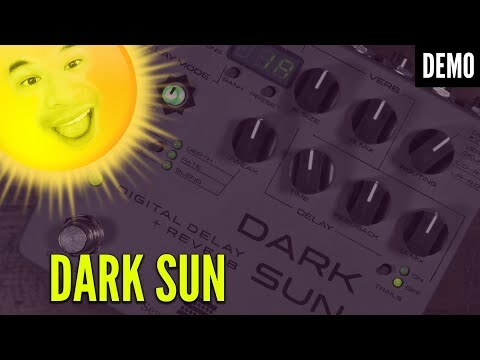 The Dark Sun is a deep deep creation of galaxy expanding verb and echo and even modulation...save your favorite presets, take advantage of the tap tempo feature, and just create pallets of love and delicious taste with this box of fun! This is our official Gear Gods beginner's guide to using reverb and delay on the guitar! 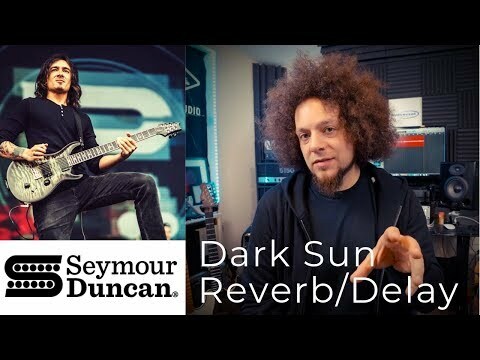 Using the Mark Holcomb (Periphery) signature Seymour Duncan Dark Sun pedal, we take a closer look at a few different ways you can utilize ambience in your own playing. Check it out! Super awesome pedal from Seymour Duncan. 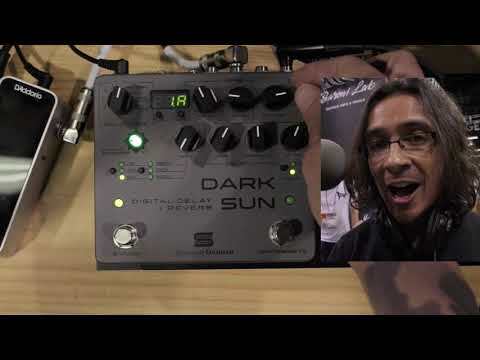 If you want a plethora of amazing effects for any songwriting application, the Dark Sun provides a serious amount of inspiration to your rig! 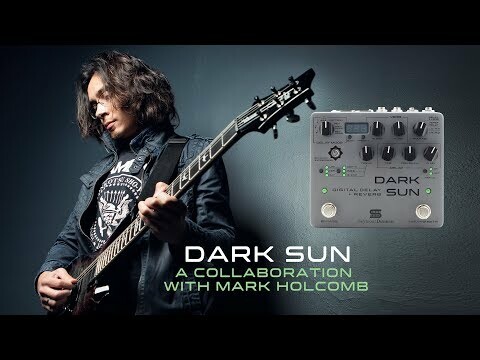 The Dark Sun is the signature delay of Mark Holcomb from Periphery. Who better to help me test it than another great modern metal player. John Browne and I explore this amazing delay and reverb combo together!